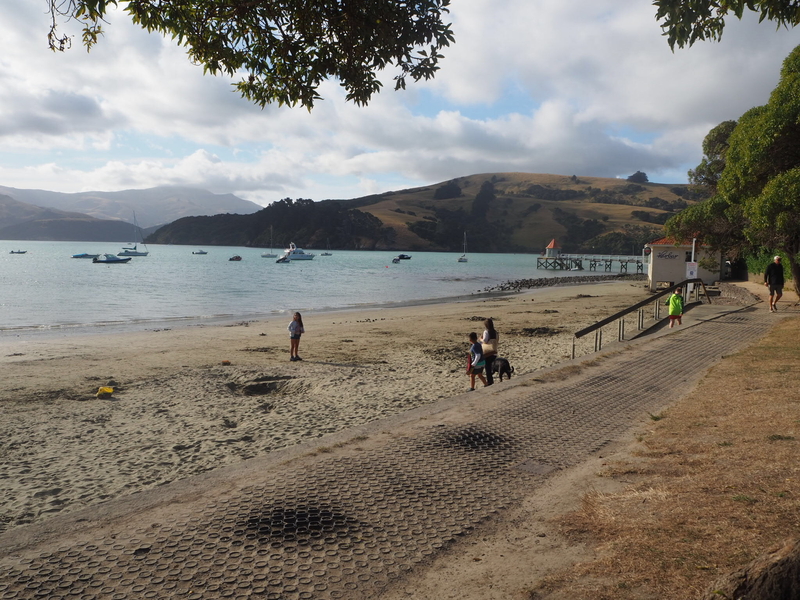 With one final glance at the beach, we left the Greta Valley behind and made our way towards Akaroa. 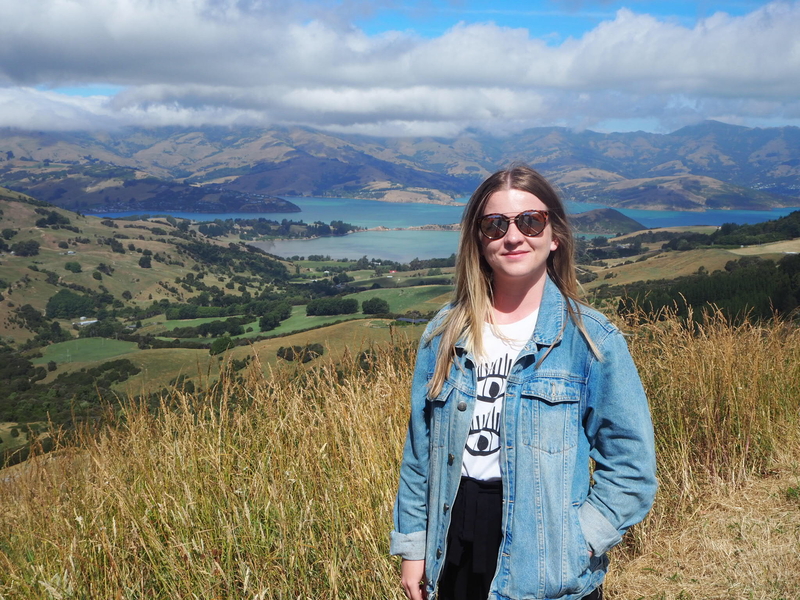 We decided to stop in Christchurch for the morning on the way to Akaroa to observe the rebuilding process after the devastating earthquake of 2011. 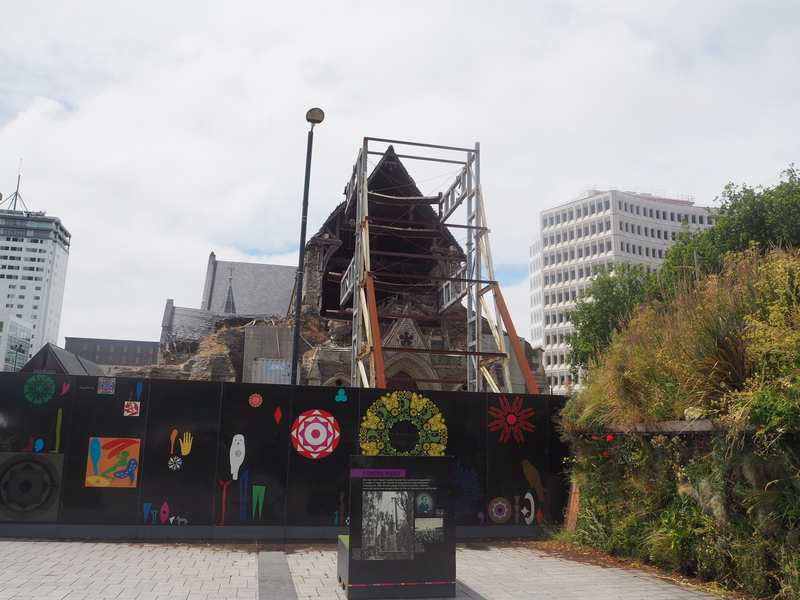 The Christchurch earthquake memorial stands tall and all around you can still see a variety of buildings in a state of disrepair. 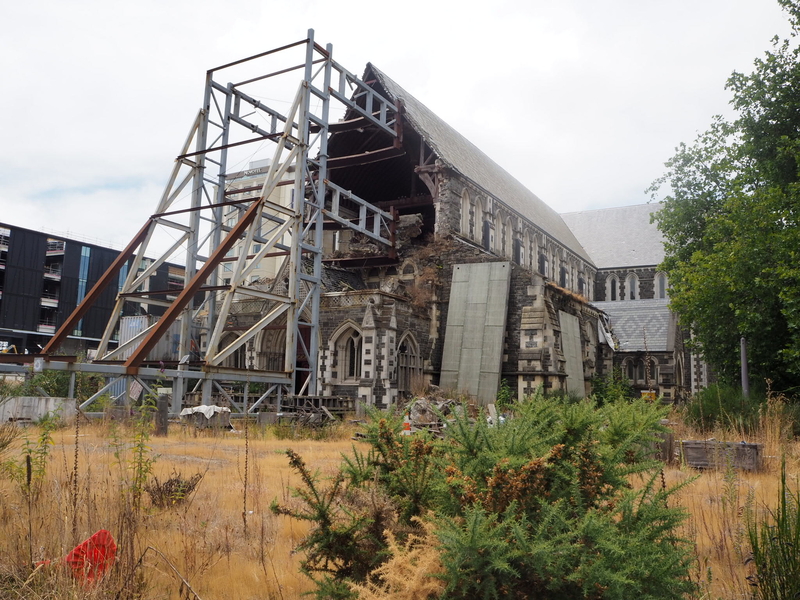 One of these is the Christchurch Cathedral which is being held upright by scaffolding. It feels very bittersweet walking amongst the destruction as you can also see the regeneration and what a great city Christchurch is and will be after the rebuilding work. 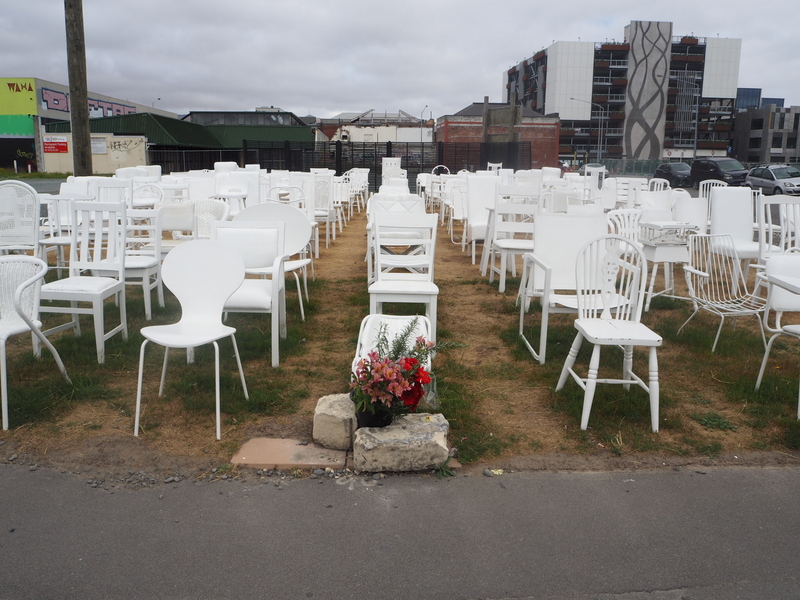 The 185 empty white chairs memorial is an unofficial memorial for all 185 individuals who lost their lives in the earthquake. You are welcomed to sit in any of the chairs and reflect on the tragedy. 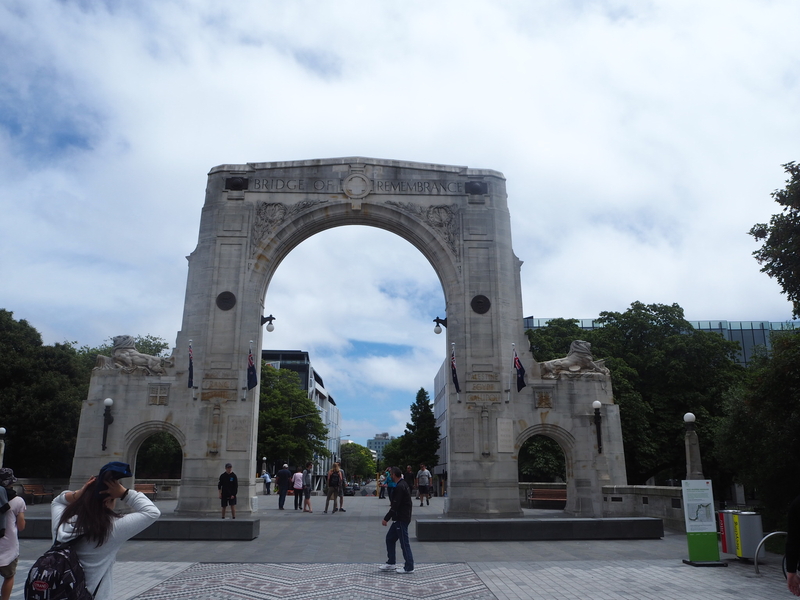 Another famous monument in Christchurch is the Bridge of Remembrance which is dedicated to those who died in the first world war. 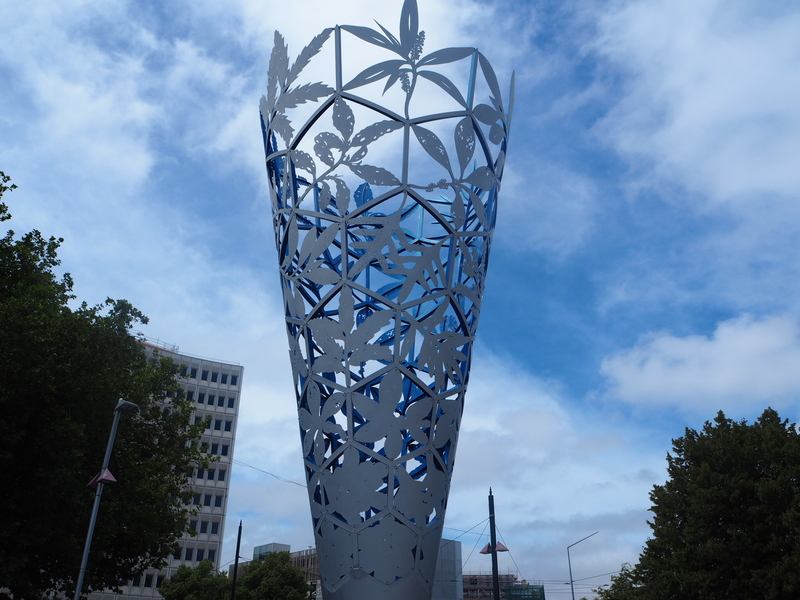 It was repaired and strengthened during the 2011 earthquake. 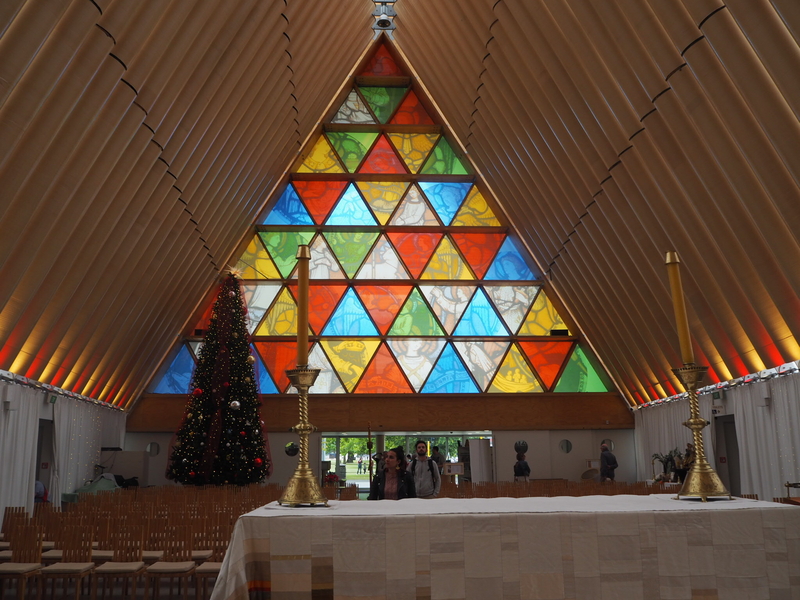 The famous Christchurch Cardboard Cathedral which opened in August 2013 is several blocks from the original cathedral and serves the city as a temporary cathedral. 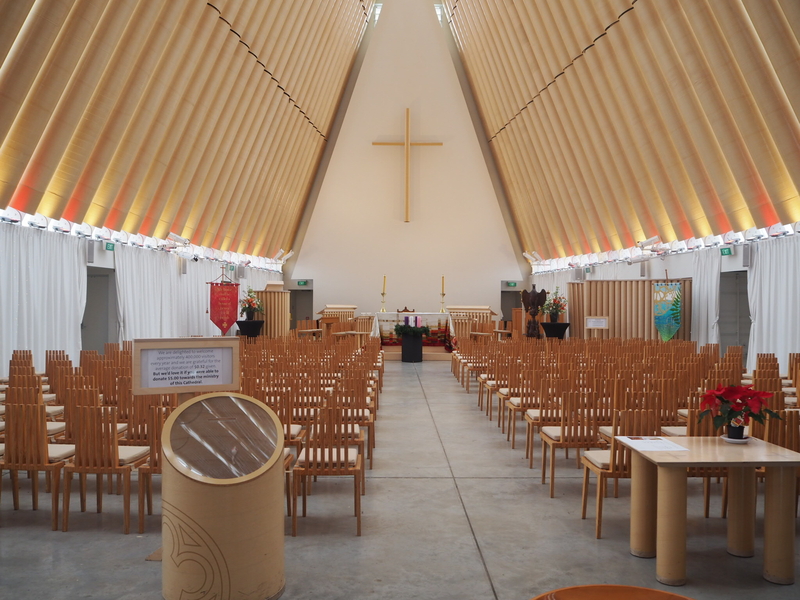 It incorporates 86 cardboard tubes, timber and steel. The stained glass window really is beautiful. 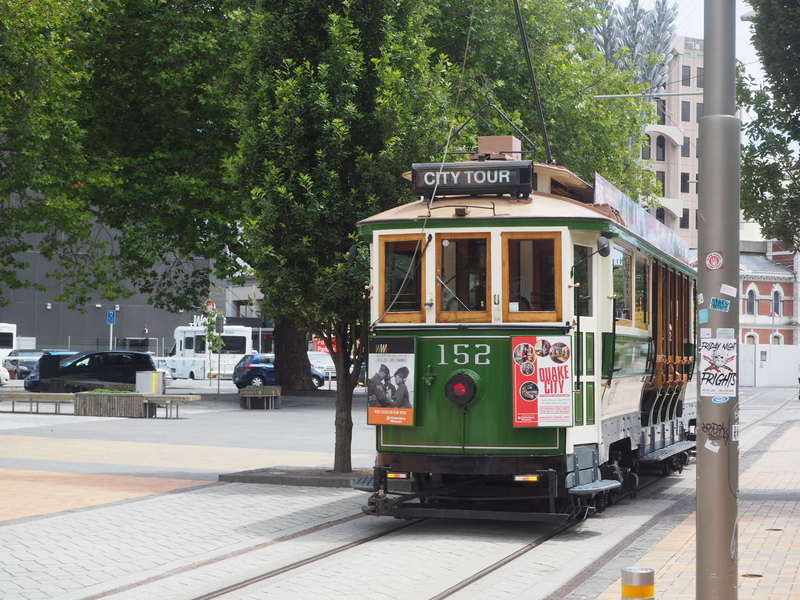 One of the things I loved about Christchurch were these old fashioned trams and I really hope they never get rid of them. They add a lovely old fashioned charm to the city. 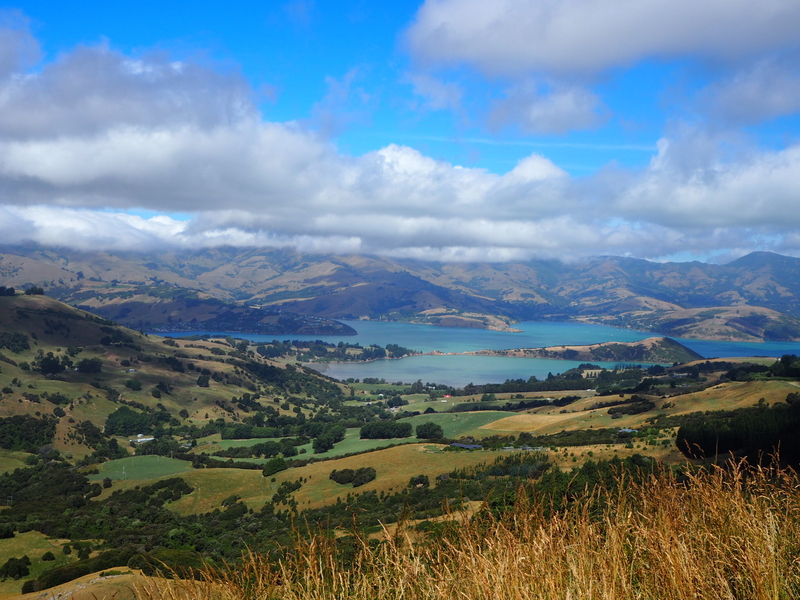 After an educational morning in Christchurch we headed over the hill to Akaroa and as we broached the hill an incredible view awaited us. 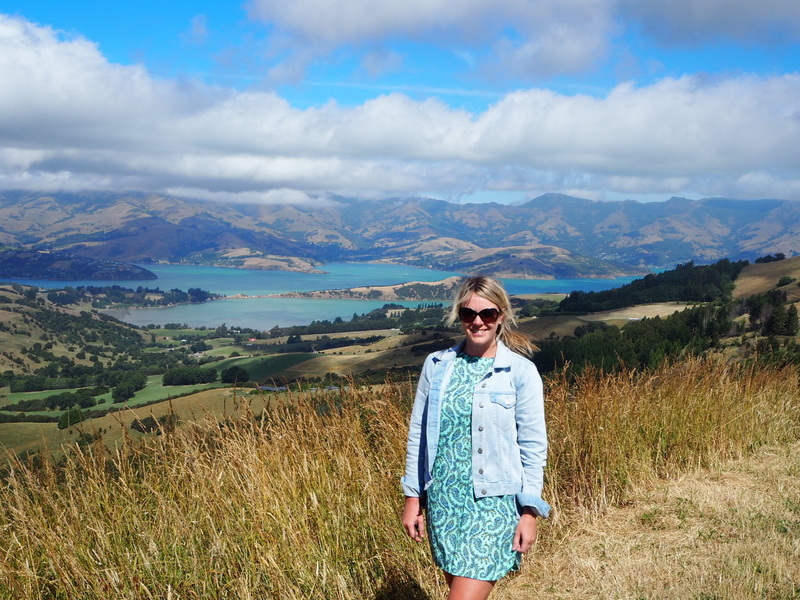 Akaroa is just a 75 minute drive from Christchurch and is a historic British and French settlement sat within the heart of an ancient volcano. 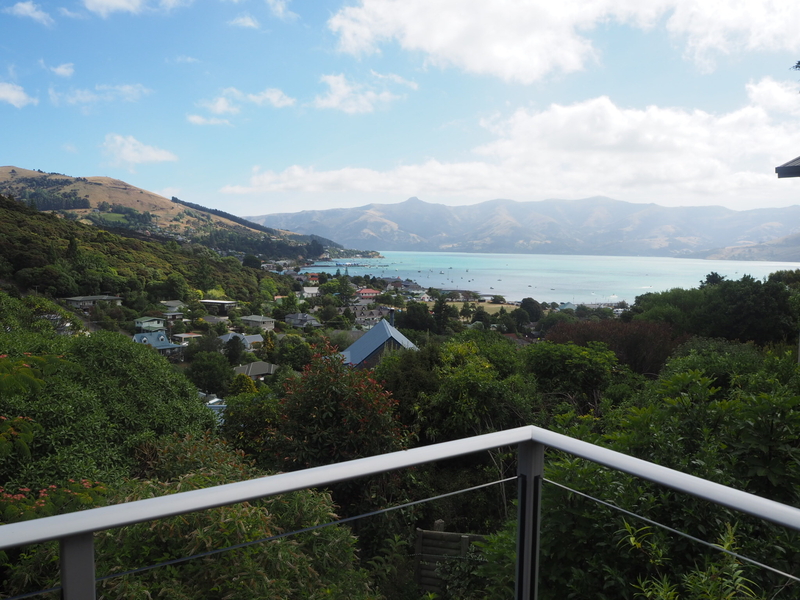 We decided to treat ourselves and stay somewhere really nice for New Year’s Eve and so we booked a lovely house through Bachcare. The view alone was worth every dollar. 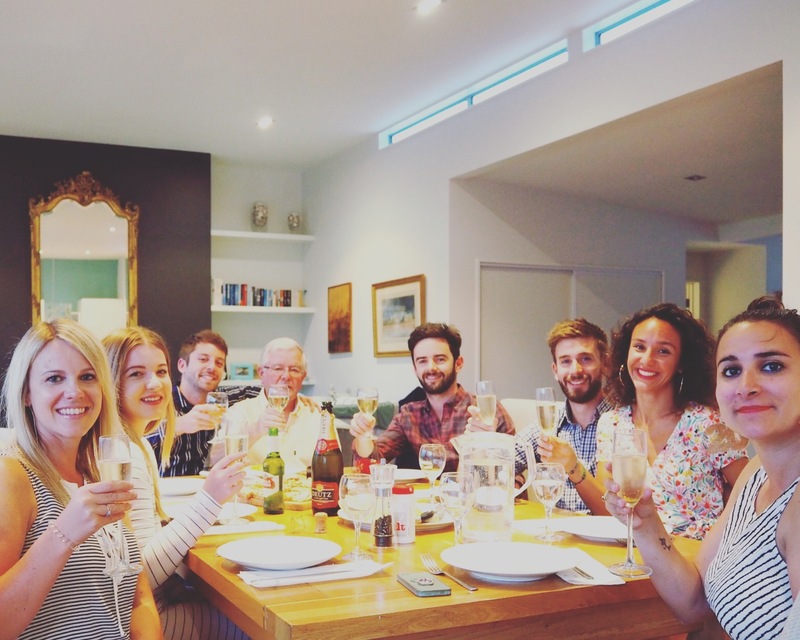 If you would like to book the same holiday house you can find it here. 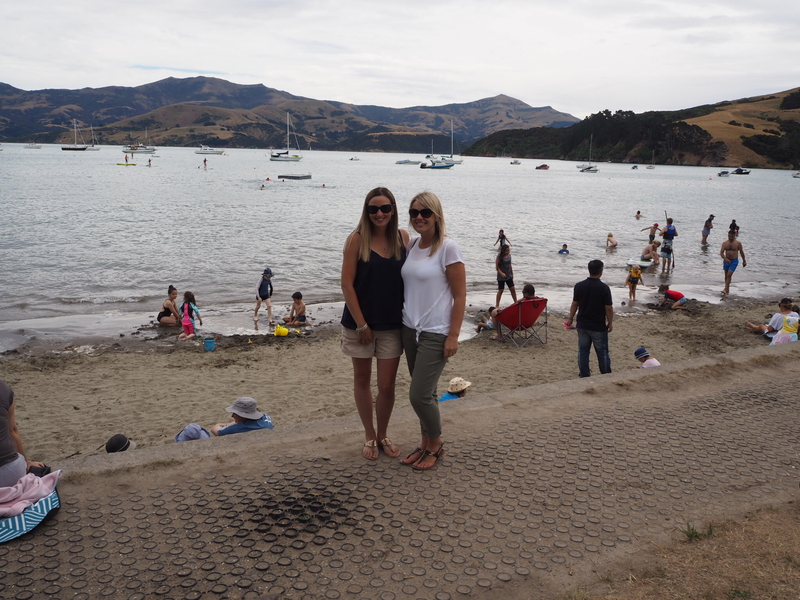 Akaroa is a beautiful little town filled with French bistros and beautiful views. 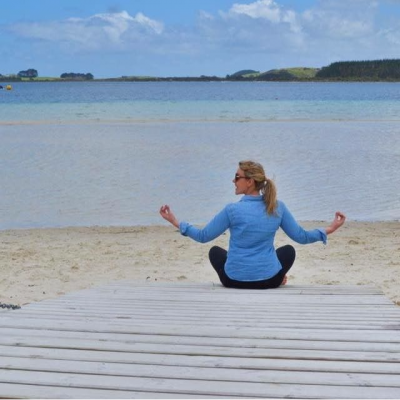 The beach is great for a sunbathe or an evening stroll just as the sun is about to set. 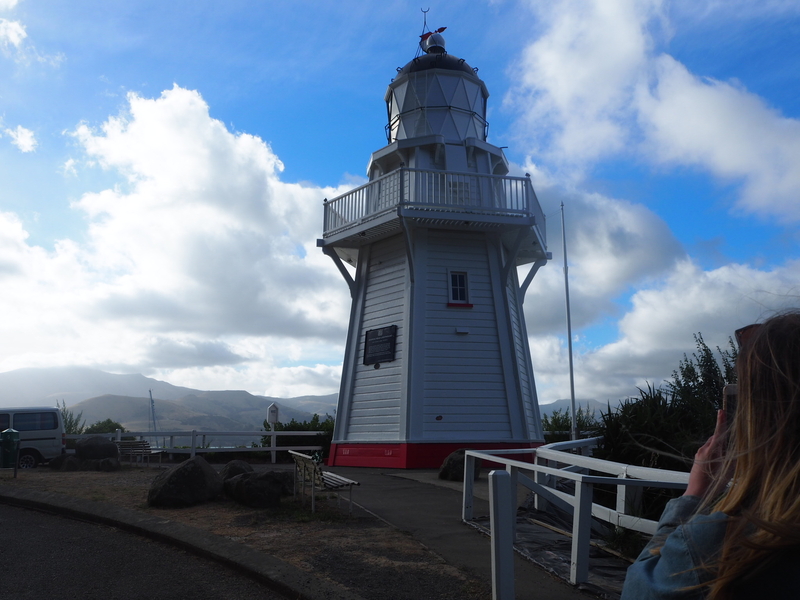 The Akaroa Lighthouse was moved to its current position in August 1980 and is now managed by a roster of volunteers. 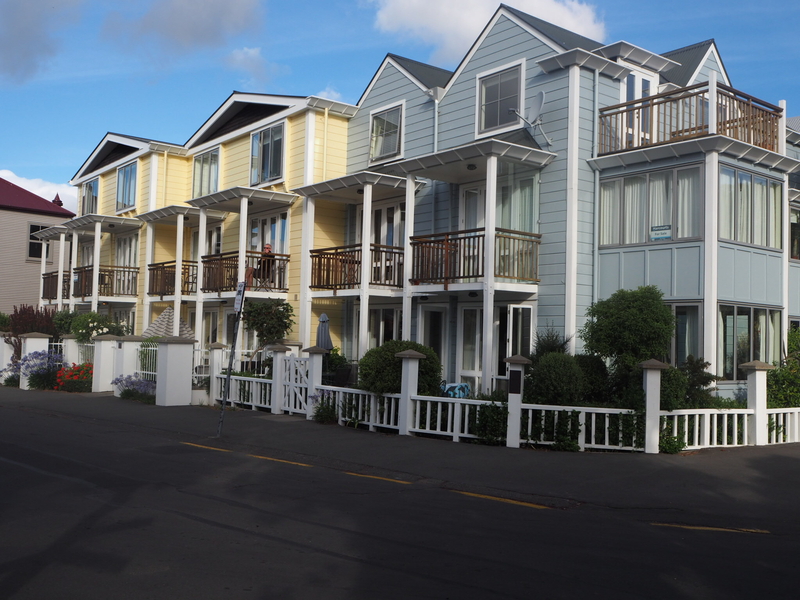 I loved the weatherboarded apartments on the waterfront. 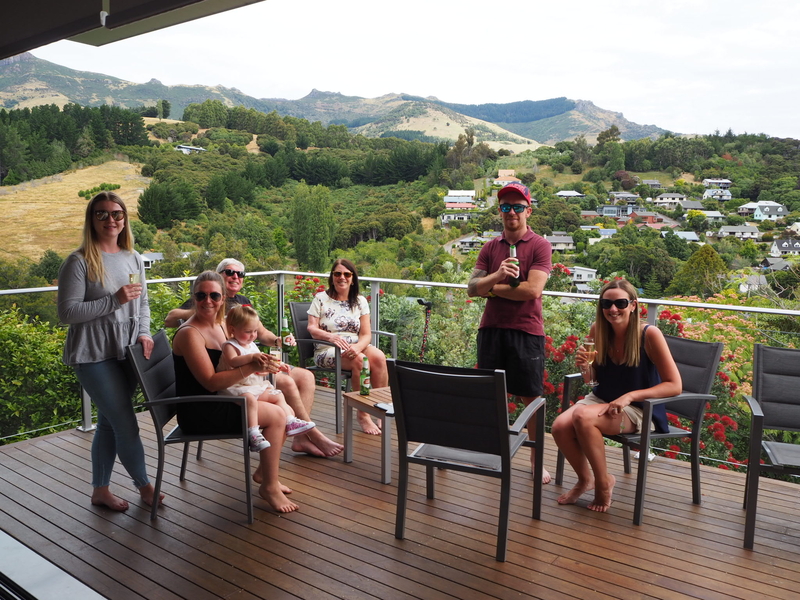 One of my best friends from back in Wales now lives on the South Island and it was so nice to catch up with her, her family and my god daughter Kendall for the day. 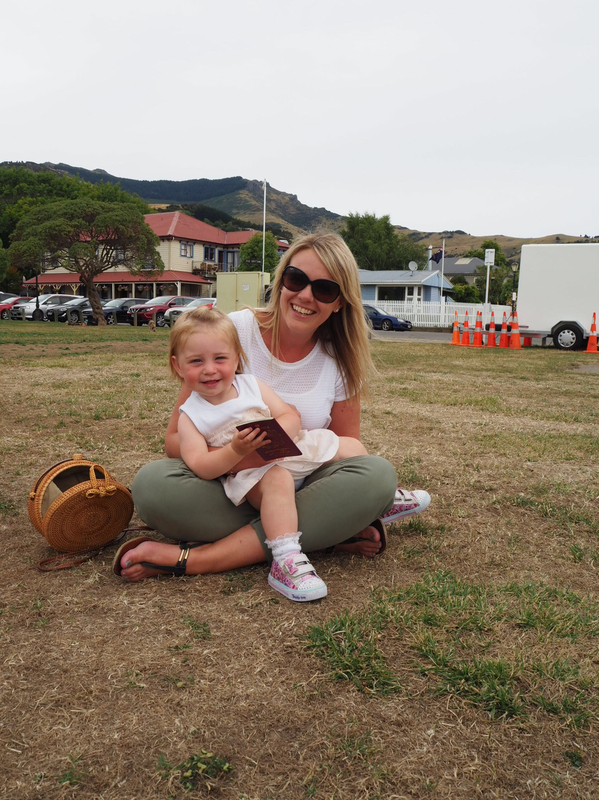 We munched on fish and chips on the old cricket field and watched Kendall run around to her hearts content! 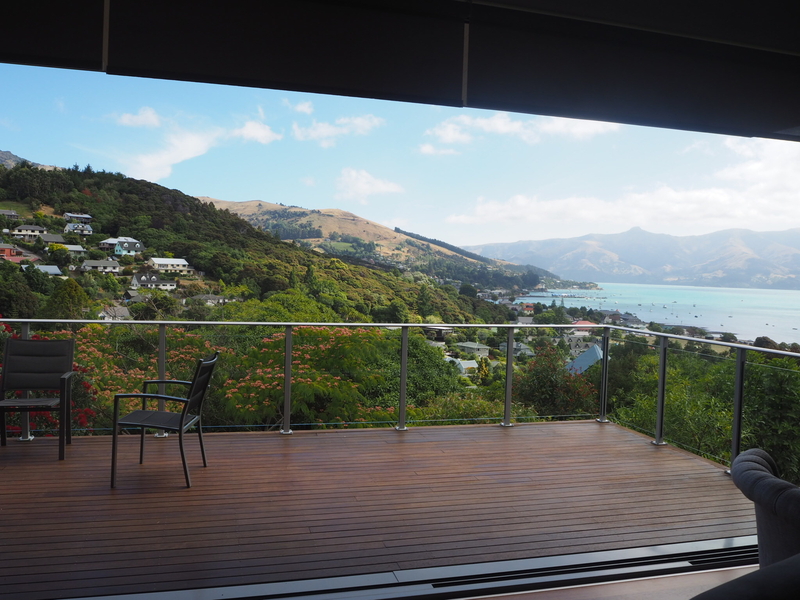 Of course I couldn’t let them leave without having a glass of bubbles on our deck….. 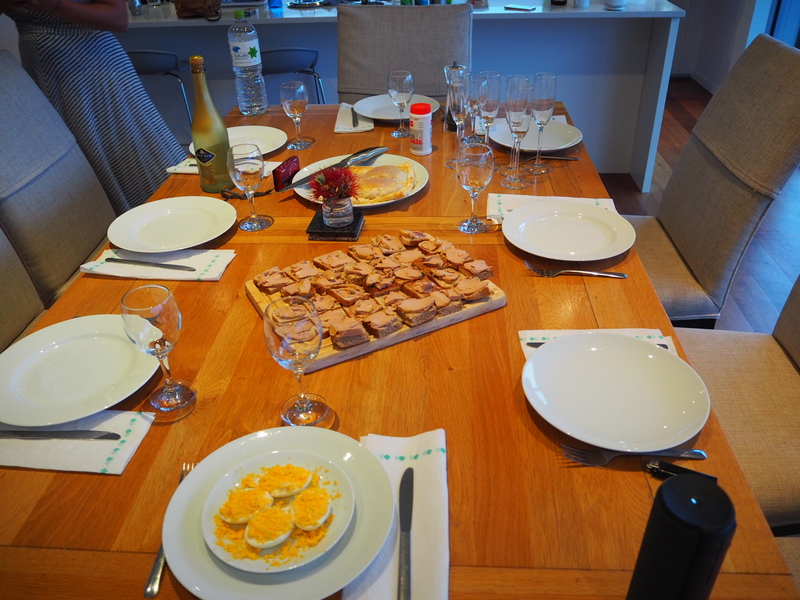 I finished the day with some great friends and lots of yummy nibbles, what else could a girl ask for? 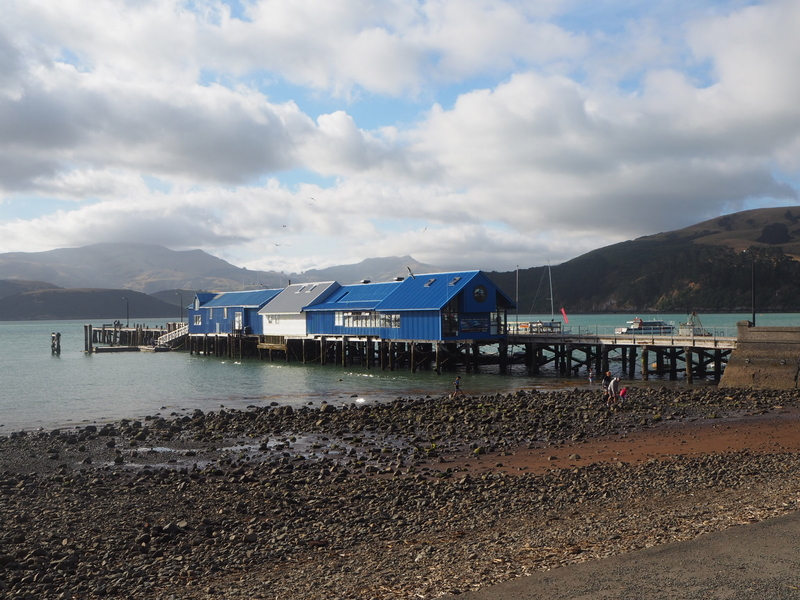 Does Akaroa look like somewhere you’d like to visit? I’d love to know!